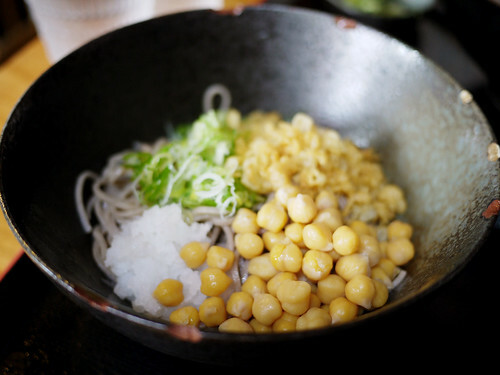 It's a little blurry in the photo, but behind the chick peas are delicious little bits of fried tempura dough, also known as ten-kasu. I've never seen that before, but M. assures me delicious little bits of fried tempura dough is a thing, with an actual name and official wikipedia page. It felt like just yesterday I was having a solo lunch at Cocoron, but the internet tells me it was almost a month ago. Wow! I love chickpeas (in all forms)! Is this new on the menu? :) I want to try it!